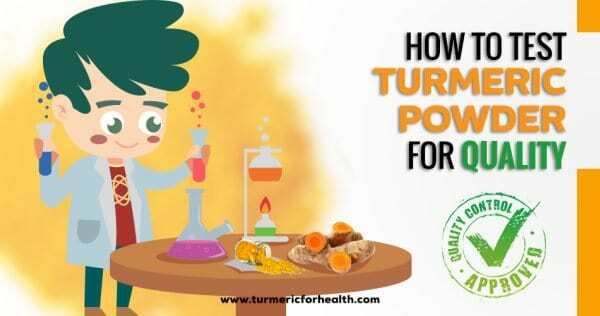 How to Test Turmeric Powder for Quality and Avoid Adulterated Products? 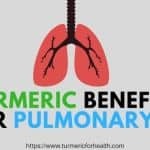 So you have just read about turmeric and its amazing benefits and decided to give it a try. You went online to check out what is available. You are stunned! 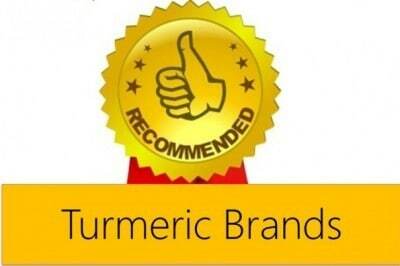 There are so many brands available selling turmeric powder online. Everyone claiming to be the best. This is a very common situation. Even if you have bought the most expensive product it is still no surety of quality of powder. 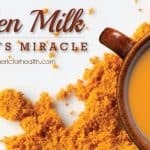 So how can you check if the turmeric powder you bought is really pure turmeric? 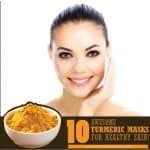 I will answer this but before that let me talk about some most common ways to adulterate turmeric powder. 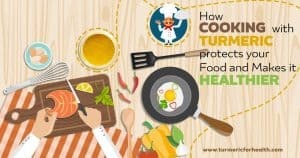 How is turmeric powder adulterated? I do not have HCL nor Sulphuric Acid – what should I do? Do these tests apply for supplements? Adding fillers, which may or may not have any nutritional value or may actually end up harming you in the long term. Some common fillers are sawdust, rice flour, starch, etc. Use of Color dyes to give the traditional turmeric color to added fillers. The use of metanil yellow colour and lead chromate are most common. The use of color is common in countries like India. 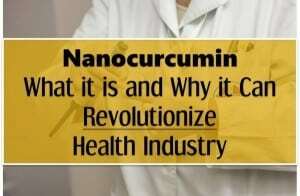 This is unfortunate as India is the largest producer, consumer, and exporter of turmeric in the world. This is known to negatively impact the nervous system of the body and may cause cancer according to some experts. Just by looking, it is really difficult to feel the difference between a genuine and non-genuine turmeric powder. So buyers can easily be tricked into buying spurious products easily. But fortunately, there are some ways to find the difference. Let’s discuss them. 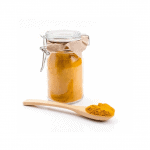 Here is the test for artificial colors in turmeric. Take one teaspoon of turmeric powder in a test tube / glass flask. Then add a few drops of concentrated Hydrochloric acid (HCL) in it. color. But if the color remains, it has artificial color — metanil yellow. Note: a few people over the internet have mentioned that one can also use lemon instead of HCL, but I cannot confirm that. This one is a bit difficult than the first one. 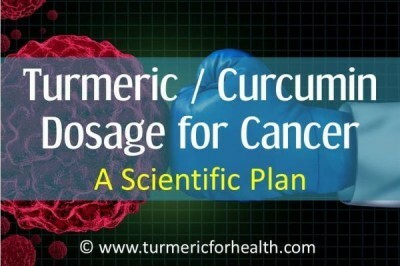 Take a sample of turmeric. Ash the sample. Collect the ash in a flask / test tube and add 1:7 Sulphuric acid to it. Mix the sample and then filter it into another beaker / flask (basically the ash will remain in the filter while liquid will come down). Next add a few drops (1 or 2) of 0.1% dipenylcarbazide into the solution. If it turns pink it has Lead chromate. Caution: concentrated HCL and Sulphuric acid have to be handled with extreme care! Take a small amount of turmeric. Add it into a test tube / glass flask. Add some water. Then add a few drops of concentrated HCL to it. If you witness effervescence then there is chalk powder present in turmeric. This test is also applicable for testing turmeric for yellow soapstone. The starch of rice, maize, wheat, etc. 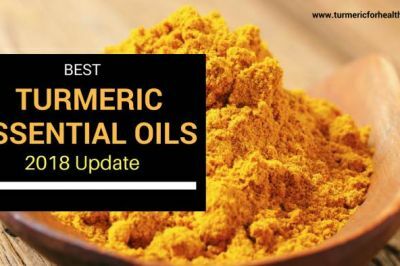 are also added to turmeric powder. Under a microscope, Turmeric looks like big, yellow and angular particles. While the added starch particles are small and colorless. 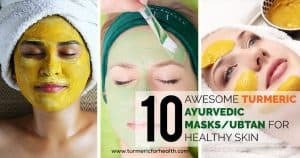 Take some warm water in a clear glass and then drop 1 teaspoon of turmeric powder on its surface. Just put it and let it do its job – do not stir. Soon you will see chunks of turmeric powder settling at the bottom of the glass. Then lots of sediments settling too, making the water cloudy. Check after 20 min, if you see sediment at the bottom but the water is clear yellow (not cloudy). Then there is no chalk powder in the turmeric. If the water looks cloudy (means you cannot see through the glass clearly), then there maybe chalk added to the powder. While one can do the chalk test but it is the artificial colors present one should be more worried about. 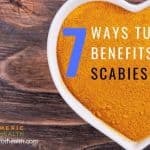 How do you check them as rarely people will have access to HCl or Sulphuric acid. Ask your supplier to get these tests done for you, if possible in front of you and from a random sample. Even if you cannot get it done in front of you, I am sure just asking for a test report will ensure they give good quality stuff to you. As the report can be used as evidence against them in the court of law if adulteration is found later. Go for brands which are independently certified for quality. I am saying this as every brand says they are the best. But having an independent certification of quality helps. I am not sure as supplements may contain additional ingredients and thus they may interfere with the above-mentioned tests. But most of the quality certifications mentioned above should still be valid. 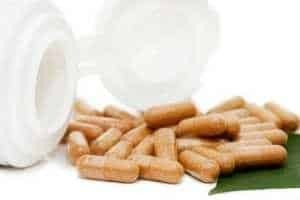 So you should consider that method to choose a good quality supplement. 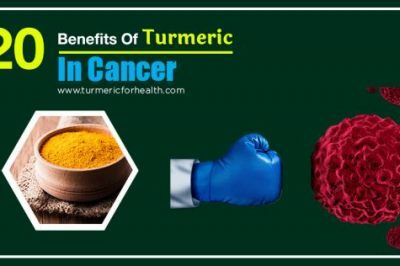 Turmeric is the miracle of nature but we have to be really careful to ensure we are taking its pure form and not adulterated. Such products can do more harm than good. So be vigilant. If one is a celiac, they need to be sure that there are no artificial colors or gluten in turmeric. 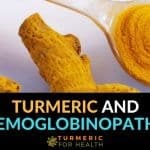 My simple solution is to get turmeric in the root form available at Indian stores and powder it in a blender. It works. Could you please tell me what “concentrated” hydrochloric acid is? What would the percent be? Several sites mention “concentrated” but no one says what that means. You mention “concentrate” HCL. What does “concentrated” mean? I only see 5% sold in small bottles on Amazon. Is 5% concentrated enough? My friend who is Vietnamese went to visit her family and brought Turmeric back home. Weird thing is, it has no flavor and very golden in color. She is aware there are fakes out there but swears this is the real thing. She explained to me that in Vietnam they figured out a way to make it less bitter and it’s a form of extraction that is as or even more potent. I drank it as a tea a couple time but if I let it cool some gellish little clumps formed on the bottom of the cup. I don’t think I’ll go buy chemicals to test it but it’s a little suspicious as I can’t find anything like this online. She says it’s very popular in Vietnam and her whole family buys this from of turmeric. Hi. We are not really sure which variety of turmeric this is; hence we can’t comment on it’s authenticity. Vietnamese cuisine does involve yellow turmeric. 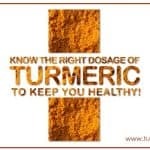 It is advisable to stick to organic turmeric from a trusted supplier. After addition of h2so4 or diphenyl carbazide it didnt show any colour but i add some more h2so4..then it shows pink colour. Why??? 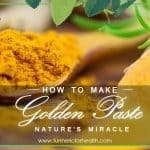 In this scenario, you are looking for Turmeric powder online but then there are so many brands claiming to be the best. Then you go on teaching how to check for the pure form, problem is, you still have to purchase a couple of brands, hire a chemist, have it tested one by one until you get the one that is really pure. That wouldn’t be economically possible and practical huh? Maybe, you should have posted the brands that are really pure and not let us experiment on different brands. Just saying..
Do you think grinding the dried turmeric root will permanently dye my blender jar? It is a Blendtec (plastic). Hi. Yes there is a possibility that turmeric may stain the plastic container yellow during blending. You may have to use rubbing alcohol to remove the stain after washing it with detergent. ALL reviews are excellent, except one, which most people haven’t noticed I guess. The review is one sentence which says that this turmeric contains Metanil Yellow. How does the reviewer know, don’t know. But I emailed Starwest Botanicals about that. Interesting what they will say. Probably will assure me that they test it. It doesn’t mean nothing of course. Meantime I did order Frontier Turmeric Org. 1LB on iHerb. Only after that I Googled for Metanil Yellow. So now I’m going to ask Frontier the same question. 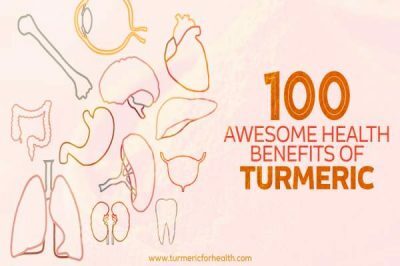 Anybody knows about Organic India Turmeric ? So far no replies from Starwest nor from Frontier. But I did get a very nice email from ORGANIC INDIA, assuring me that ALL their products are pure and clean from any additives. I know that they grow everything they make. ALL organic and clean. So, this is the company to get Turmeric from and other herbs. Thank you Zal. Have you heard back from the other two companies? 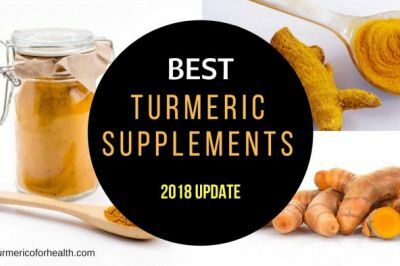 Where can i buy a good tumeric supplement in south africa? Hi, we are growing superb quality turmeric in Zimbabwe, & we are in the process of getting it analyzed. We’ve been producing our own turmeric powder for 25 years!!! I buy mine at Publix on the spice shelf. It is Spice Islands brand. I put a teaspoon in my V8 each morning. Anybody know of problems with Spice Islands turmeric? 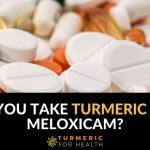 Check out the recalls on brands of Tumeric for having too much lead! can we get turmerick root in bulk food barn in Canada??? Try Big Carrot, they sell organic turmeric. I approached one of the staff and they sold me a an original bag of turmeric, just the way they receive it from supplier, for a better deal then if I bought it in a smaller quantity. I got some turmeric powder from Bulk Barn trying to save and had to get rid of it. They do not have organic, it tastes awful and it failed the water test I tried with it. I mixed water and turmeric from Barn in one glass and organic turmeric from Big C’s in another. Once turmeric settled to the bottom of the glass; water in Barn’s cup was murky and greenish/yellow where Big C’s water was clear and slightly orangey/yellow colour. When buying spices always go for organic. ABSOLUTELY agree with others here who say to buy the root, dry it, and grind it yourself. I buy Hawaiian organic turmeric at whole foods (pricey but worth it), wash it, (don’t bother to peel the thin skin) grate it with a cheese grater and place on parchment paper on a cookie sheet to dry for a few days, I may have to turn it every couple days, Do NOT dry outside in the sun. Once completely dry, I put it in my Nutri Bullet and voila! Perfect turmeric powder. Awesome stuff!!!! I haven’t exactly tested it out yet but there are ph level adjusters for fish aquariums. Api ph down uses Sulphuric Acid. Your local petsmart should sell this. Where can i buy it in Nairobi? I grow my own, so no issues. Good info here but most people do not know enough about chemistry to safely handle strong acids and harmful reagents. One would have to special order dipenylcarbazide from a chemical supply house and would draw unwanted attention from the Feds, who always seem to be overly interested in folks who they think should have no reason to purchase chemicals. 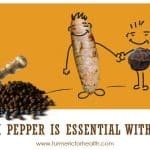 Go to your Indian/Asian grocery store and buy turmeric roots and grow your own organically for best and safest product. Fresh is best. What you make or grow yourself is safest. I am using a badia turmeric brand I boiled it 2 or 3 tsp. in the morning in one cup of water and reduce it little bit then I divide in three one for the morning one for the lunch and one for the dinner. I just add warm water to make a tea . does any body knows that badia company is a refutable maker of all spices in herbs? Does anyone know if Maharajahs turmeric bought in Coles is safe? I buy organic turmeric can I assume this is safe? For safety I get a fresh turmeric root, grate it then dry it and chop it to powder. I know what I have then and take the time to do it. It’s worth it.